Tired of losing productivity due to computer issues? With managed IT services we monitor your business computers 24/7, provide security, support, maintenance, and most important peace of mind that you're business will run as efficient as possible, by being proactive rather than reactive with your businesses computers & network. JRD Tech provides on-site computer repair services for Microsoft and Apple computers in New Jersey. Our computer service includes malware / virus removal, computer tune-up, diagnosing errors, fixing slow computers, upgrading memory or hard drive storage. Basically if your computer is acting strange and causing you any problems call us for computer repair today! Need help with an Apple Mac computer? JRD Tech repairs all models of macbook and iMac. From fixing permissions issues, solving errors, giving your mac a tune-up, to yes...even virus removal. JRD Tech can help! Break your macbook glass or lcd display? In most cases we can replace the glass or screen without having to replace the entire display assembly. 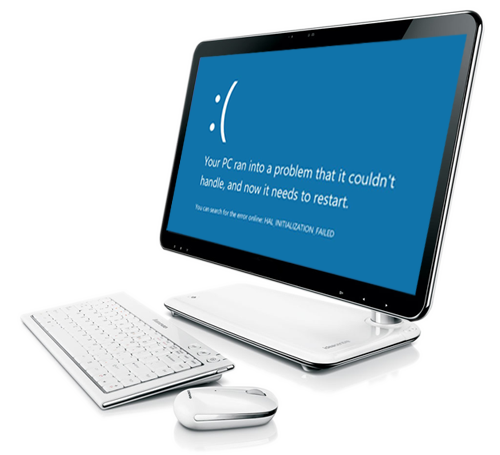 We can help with any and all OSX errors or problems. For businesses JRD Tech provides business IT support and Managed Services. We offer 24/7 computer monitoring, remote repair, managed antivirus, web protection, network security and cloud backup to keep your business running at peak productivity by being proactive with your computer needs to identify potential problems, keep your systems up-to-date, and resolve problems that do occur ASAP all while saving you money. We also provide standard break / fix computer repair services for businesses. With over 10 years experience have the piece of mind that we have the trust of our clients and will around for many years to come. JRD Tech can repair everything from software and hardware errors, virus removal, slow computer, data recovery, annoying popups and much more. We support Microsoft, Apple Mac, and Google systems and services. Don't hire an over priced geek for low quality service for your business. Call JRD Tech we'll get your tech running right. Very affordable rates & we available 24/7 for emergencies, but normally we schedule between 10-5:30 on weekdays & 10-2 on Saturday. Our Managed services clients enjoy rapid response & expanded service hours. Our small but strong and knowledgeable team is here to serve clients in Ocean County, Monmouth County, and surrounding areas. Jason is very friendly! I called him Wednesday night, he was here Thursday afternoon! He managed to get here earlier then expected. He gave me a call to make sure it would be ok and I was thrilled! He figured out what was wrong with my computer and gave me some great advice as well. You will not be disappointed with him at all.